“Could we look at the wine list please?” I said in Italian of course. The waiter went a little pale and disappeared. Then his wife arrived and said, “We don’t need a wine list, we have our own wine!” “Oh good!” I gave her my broadest smile. 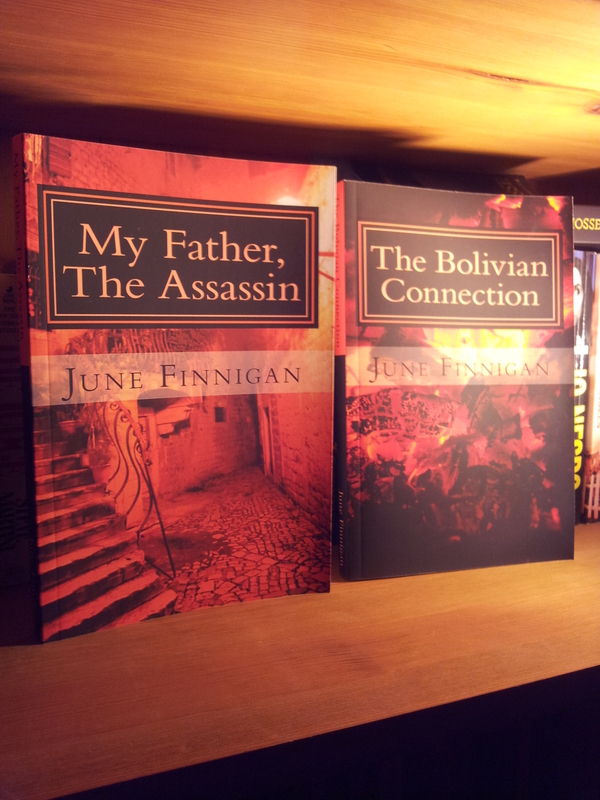 “We’ll have half a litre of the house red then.” She happily bounced away. Now, this was the start of our visit to a tiny family run restaurant called Taverna del Fiorentino in Marcialla, which is just fifteen minutes away from our home. 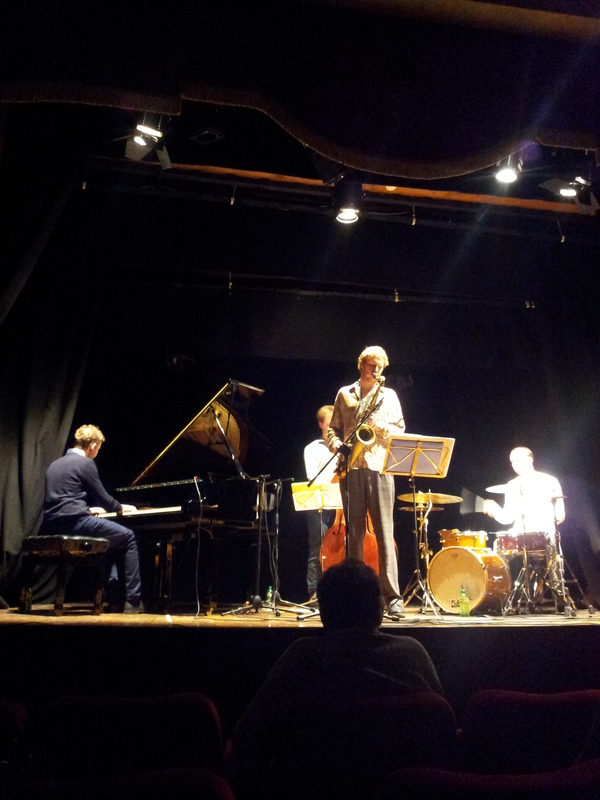 We chose to go there for the first time, because we had been invited by friends to go to the theatre, just around the corner, for a jazz evening. Having arrived at seven-thirty, this gave us lots or time to relax over dinner, well so we thought. Now the couple who run the place are really sweet and the wine was delicious. But the wait for the food was the longest we have ever experienced. OK, this is Italy where slow food is the rule, but after a while, we realised that this was not the place to go if we had a limit on our time. also, it gradually became clear that the place had expectantly filled up with people, and they did not have the staff to cope with it. We had probably chosen the wrong day too. 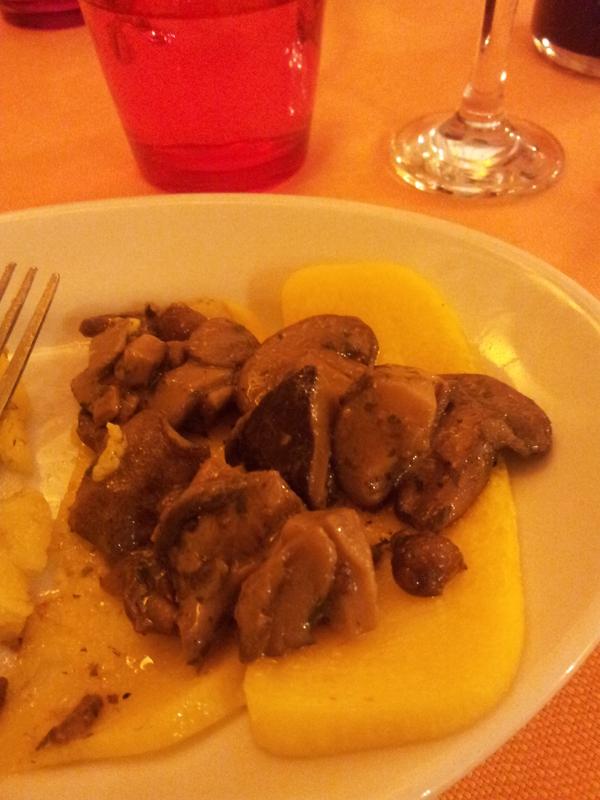 But the simple polenta & fungi antipasti arrived and it was delicious, also, when it eventually came, my man enjoyed his pasta dish. so, it was an experience and we are not sure whether we should go back, but we will see. 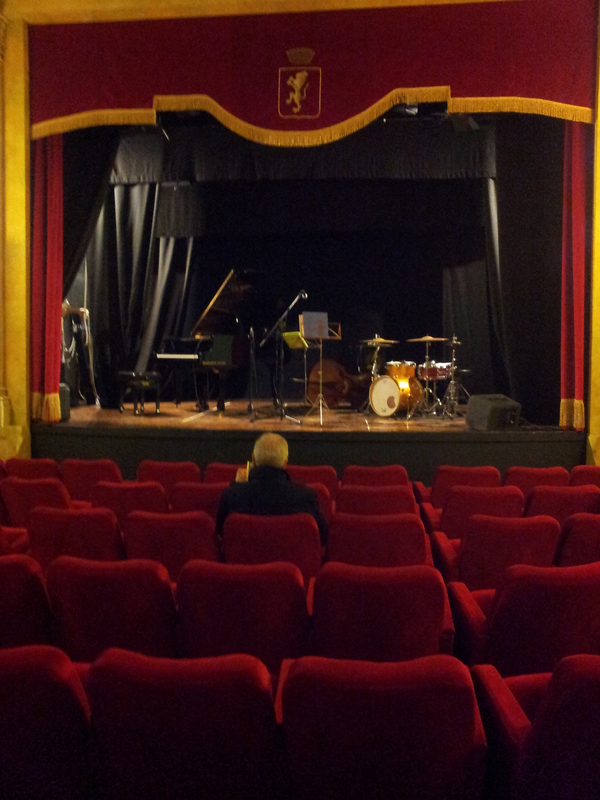 So, it was then a last-minute dash around the corner to Teatro Regina Margherita to meet our friends and neighbours. As we waited to buy tickets, I snuck around the red curtain and took a photo of the almost empty theatre, which looked lovely and cosy, the band’s instruments all set up on the stage, ready to go. I’ve never been a big fan of Jazz, I prefer Rock, so we awaited the start of the performance with curiosity. Well, back to normality, and trying to ignore the cold wet weather. Spring is leaping forth in our lovely Tuscan garden, but the weather is keeping us inside. Despite that, we might pop over to C’era Una Volta for a nice hot lunch shortly. 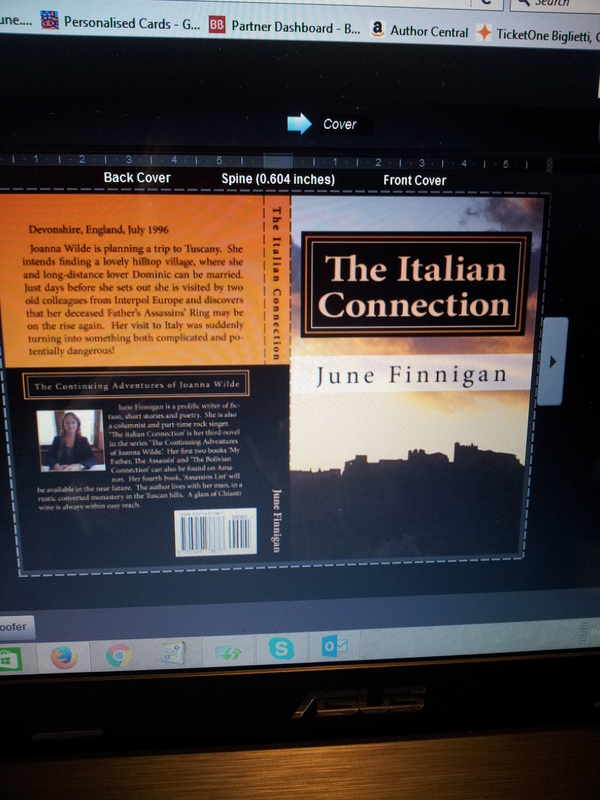 New book cover proof for The Italian Connection. Anyway, must go and make myself beautiful and get taken out to lunch by my gorgeous man. And, don’t forget that Wednesday is Festa Della Donna, so we girlies expect to be spoilt on that day with a piece of Mimosa, or any given present actually!